Bacon wrapped deep fried hot dogs with all the toppings your imagination can conjure. 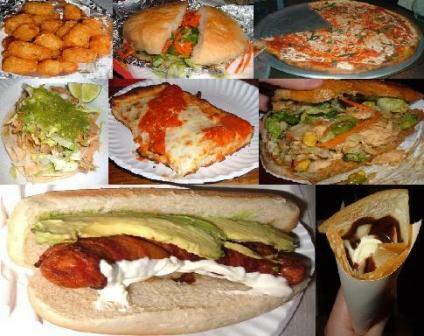 Crif Dogs, on St Mark’s near Avenue A, is the cheap late night eats (open till 2AM Thursday, 4AM Friday & Saturday) spot that dreams are made of. 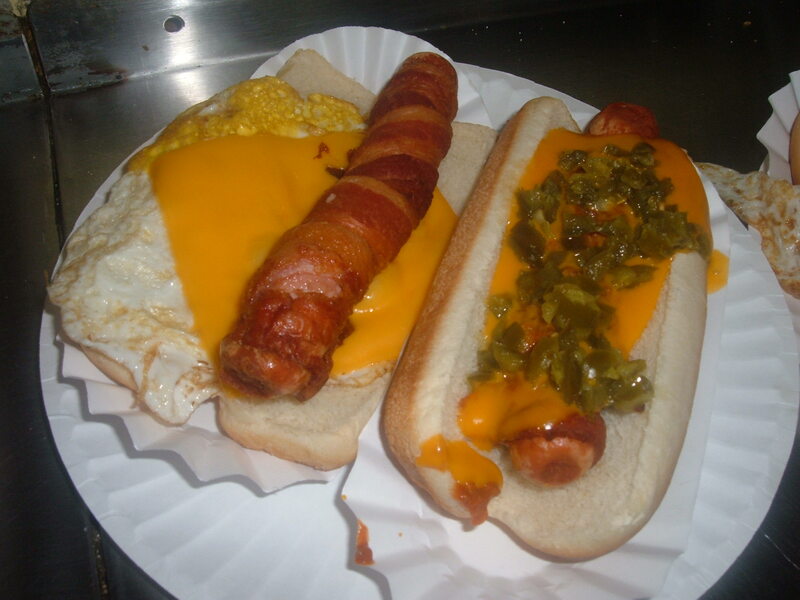 Above you’re looking at the Good Morning ($4.50), a bacon wrapped deep fried dog resting on top of a slice of American cheese and a fried egg and a bacon wrapped deep fried dog covered in melted cheddar, chili and jalapenos ($6.23), a creation of Lil’ NYC Food Guy aka my brother. The Good Morning is awesome although the Chihuahua is still my favorite. Read on for more madness.